Central Hindu School, Varanasi invites applications for admission into Central Hindu Girls and Central Hindu Boys School. Admissions for school and college students are on. 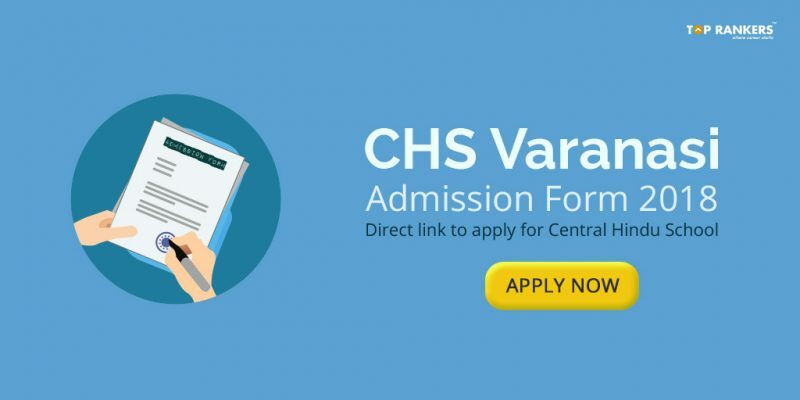 Get complete details over here for CHS Varanasi Admission Form 2018. Get complete details like eligibility criteria, number of seats, important dates, etc. Admission Details : Admission o class 6th, 9th and 11th in Central Hindu Boys School and Central Hindu Girls School, Varanasi. The student must possess 50% marks or equivalent grade for admission in science stream and more than 50% marks in both science and maths. How to apply for CHS Varanasi SET Online Form 2018? Mode of Selection for CHS Varanasi SET Online Form 2018 – Written test of School Entrance Test or SET. About CHS: Having their roots in the Central Hindu College established by Dr. Annie Besant in 1898, the Central Hindu Boys’ School and Central Hindu Girls’ School are housed in monumental buildings situated at Kamachha in the heart of Varanasi city. Affiliated to Central Board of Secondary Education, Delhi, these schools have a glorious history of providing excellent education in Arts, Commerce, Home Science, Science and Agriculture streams along with ample sports and extra-co-curricular activities to ensure all round personality development of both boys & girls.